Tommy Lasorda didn’t look this good after drinking SlimFast (the first, second, nor third time). Weight Watchers wishes Ron Darling would have done as well. 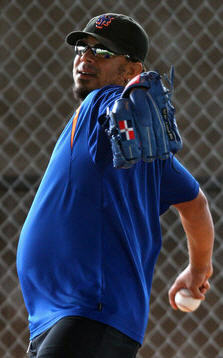 Last year at this time, Duaner Sanchez weighed in at a sloppy 230 pounds. Now he’s down to 205. His weight and lackadaisical attitude drew the ire of Willie Randolph, who reprimanded him on more than one occasion — and sent him home. What motivated him to lose all the weight?